Well, here we are. We put Rifts in the rearview. We still love this dumb game. In today’s episode, we finish our discussion of the core book. RCCs, OCCs, psionics, magic, and the crazy world of Rifts Earth. 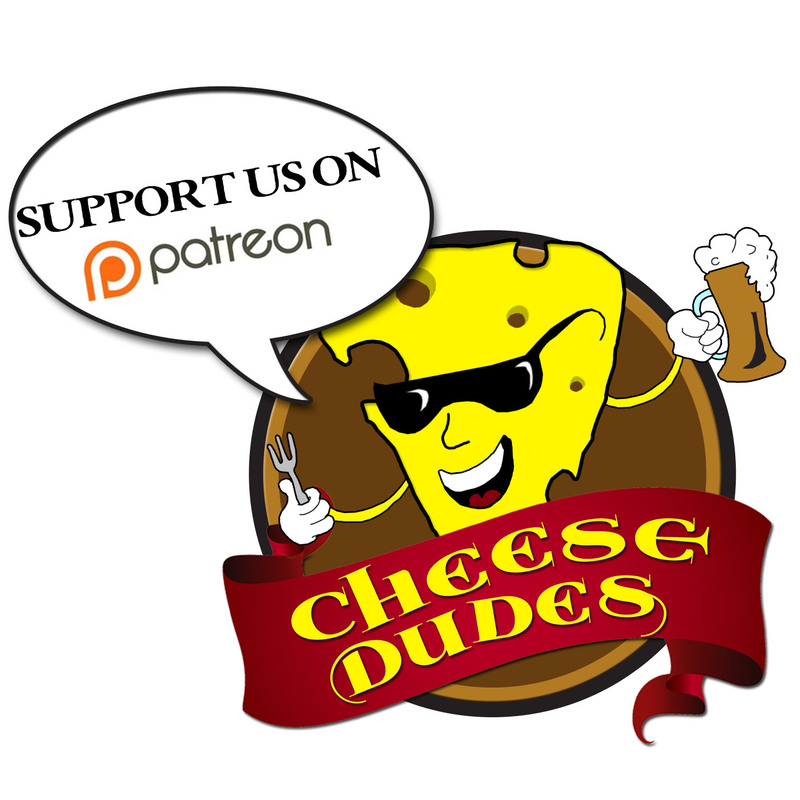 Don’t forget to check out the bonus content over on our Patreon if you haven’t already joined that train. Oh god, I never thought I’d hear HSD mentioned, but it works when talking about sparklewolves, I mean Dog Boys. Also, I was about to voice my disagreement on which post-apocalyptic trope that Crazies are when you mentioned War Boys, since that’s pretty clearly Psi-Stalkers. Now, I’m not sure if you’ve ever seen Circuitry Man, but I’m sure that the Crazy was inspired by the villain of that movie, Plughead, played by that post-apoc trope himself, Vernon Wells. When you guys talking about ‘borgs and slavery, I think it works for Rifts as an origin story. RIFTS is kinda in the same vein as Battle Angel Alita, where life is so cheap and most RIFTS factions can’t build advanced artificial intelligence (or can but they’re rare), that it’s easier to use biological analogs like a human brain instead of developing better processors. Also, given how dangerous the wilderness of RIFTS is, I’m pretty sure there’s a lot of indentured servitude: “Oh no, lil’ Timmy fell in front of a wheat thresher, but we can rebuild him, better, stronger, more expensive. He’ll have to stay with us for awhile to pay off the full conversion”. 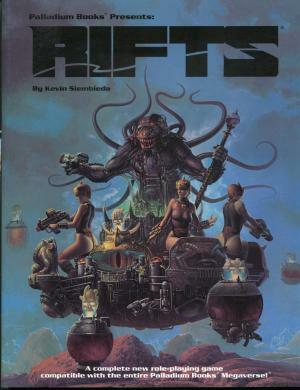 There’s also the whole thing later in Rifts where the Coalition forces imprisoned magic users get cyborg implants and prosthetics to dispel their magic abilities and make them more effective slave labor. It just feels like it fits in with the Battle Angel Alita/Dragon Heaven/Heavy Metal-style post-apocalypse, that there’s all this high-tech future stuff but it’s being used in medieval ways. Nice episode. Very professional. Neither of you said anything that was obviously incorrect or ridiculous. This two part review was a weird listening experience for me. This game sounds like a poorly designed mess from a real jackass of a designer, but you guys seemed to really love it and forgive a lot of its flaws. I know you admitted to the nostalgia thing in your latest Afterthought, but it was still so odd to hear you guys look at garbage and not call it garbage. My weird hangup aside, I have a question for the next Afterthought. One of the groups I play tabletop dice games with has real trouble with player driven campaigns. I like my players to come up with their own character hooks and make their own decisions about what to do in the story. However, many of these players don’t really engage with me when I ask them for their input; they basically prefer to be told what to do. How can I encourage these players to have agency in their roleplaying games? Really, the “high-tech barbarian” concept of RIFTS is fairly compelling and came at a time when we were at the tail end of the post-apocalyptic boom in cinema, where thought was rarely put into the scenarios and they’d entirely focus on what looked cool. Often times, they would create the movie poster first, then make the movie based off the poster. If Siembedia didn’t have Kevin Long to come up with the early visuals of the game, he couldn’t do worse that pull poster art from “Hands Of Steel”, “2019: After The Fall Of New York”, “Warriors Of The Wasteland”, “1990: Bronx Warriors”, “Warlords of the 21st Century”, etc., the type of stuff that was being aired on late-night cable or, more likely, afternoon or late-night movie slots on UHF stations. You can literally take that Boris Vallejo poster for George Romero’s “Knightriders” and stat-up Ed Harris and the only change would maybe photoshop out the mace and give him a laser rifle or a psi-sword, and you would have a RIFTS character. For many, the game’s premise outshone the ruleset, which is why a lot of people are excited about the Savage Worlds’ adaptation. Two words for your next patreon goal: Rifts mastery. Make it happen! Good review. You make Rifts sound exactly like it is… a hot mess, but you love it. I was never a fan, my wife loves it… it was the first RPG she ever played. She got on board the Savage Worlds Rifts conversion. Its well done, far more balanced between characters (even the dragon). Lots of archetypes like Glitter Boy and so on. It has megadamage but it is toned down. She is totally ga ga over it. Is it really Rifts? If you cannot separate the rules from the background in you head, no. Otherwise it works. Is D&D D&D if you play Forgotten Realms under another system? Do people generally see the background and story as inseparable? Anyone have any comments? My first game was Robotech, and one of the neat things about conversion to Rifts is that all of their giant mecha are way more powerful than anything else in the setting; I think it’s specifically in terms of speed and number of attacks, though I could be wrong. In order to try to “balance” a veritech against the rest of the setting, you have to convert it to nuclear power, which (IIRC) cuts your crazy numbers in half.